You are here: Home / Blog / News / Are you and your organization ready to MOOC? I have taken more MOOCs since my original experience to fulfill my personal learning plan. Most are free, and even if I don’t follow all of the requirements or activities, I get a lot out of them. I can choose my learning agenda within the MOOC, and pursue that agenda without consequences. The statistics for those that complete a MOOC are not good, but I don’t need to complete them to achieve my learning objectives, expand my personal learning network, and form new learning alliances. This is the new D-I-Y learning model. … although designed with a primary target audience in mind will be open to anyone and everyone in the organization. This will provide the employees with an opportunity to acquire skills and knowledge in their areas of interest beyond the purview of their current roles thus equipping them with new skills, a critical aspect of professional development. Moreover, by opening up cross-functional knowledge to the organization, corporate MOOCs can be very effective in bridging silos, if effectively launched and facilitated. … while designed and facilitated by designated individuals, take on a life of their own once launched. Discussion forums, continuous addition of user-generated content, reference resources, and peer-to-peer knowledge and experience sharing make MOOCs a more democratic and fluid experience. Organizations seeking to engage the new generation of employees must look toward more fluid and participative learning methodologies of which MOOCs could well be one. MOOCs by virtue of being open can be accessed by the employees as and when they want to. Thus, MOOCs have the potential to take an organization to the next level in the journey of learning evolution. In order for MOOCs to actually accomplish taking an organization to the next level in the journey of learning evolution the people in the organization will need digital literacy skills to participate fully. I had to develop many of these skills to begin to participate in the learning happening in the original MOOC I took. 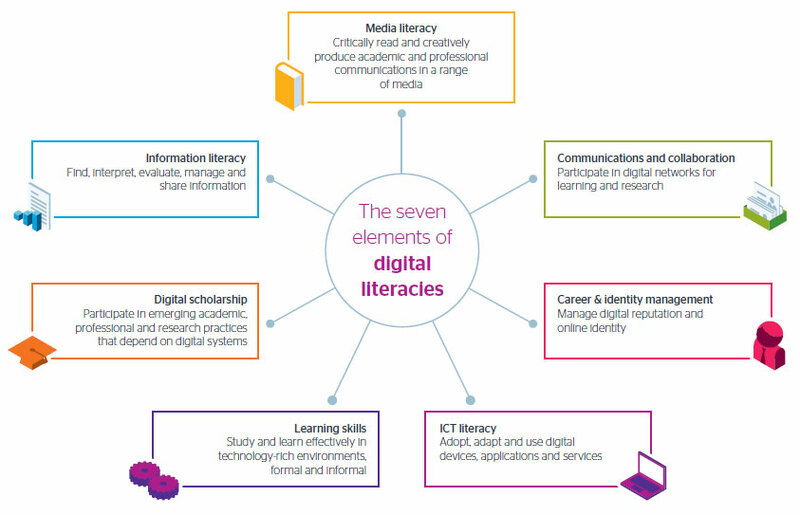 Digital literacy is not learning how to use Microsoft office or navigate a learning management system. Sahana Chattopadhyay argues that these skills are necessary for successfully navigating a MOOC, but also for being a successful worker and person in this digital age. Although the report concentrated on students, the seven elements hold true for adults as well, and I needed all seven to succeed in the MOOCs I have participated in. MOOCs can be a venue to develop these new digital workforce skills while exploring specific topics relevant to organizational priorities. It can be a first step toward building a digitally savvy organization, especially if the structures in place currently do not support these seven digital channels. Working in a way that is transparent and online is the key to unleashing agility using digital networks as it automatically collects institutional knowledge and critical methods, makes onboarding new employees much easier, and frees up your knowledge to work for the organization continuously while still ensuring your contribution is recognized. We now have many tools, channels, apps, and devices we must use in the workplace, and they will only grow in number, probably extensively. The attention they demand is squeezing out the time to do the quality thinking and analysis that we so badly need knowledge workers to spend time on. Harold Jarche has mapped how Personal Knowledge Management (PKM) is a discipline and practice that digital workers must acquire to navigate today’s knowledge-dense workplaces. These skills are foundational to adapting more swiftly and organically to rapidly changing operating environments. Collaboration is becoming the most important strategic activity in organizations, even becoming a vital top-level corporate strategy and major fast-growth new business model as well. Workers today must be experts in digital collaboration techniques, know all the relevant platforms, and maintain an understanding of the current collaborative channels at all strategic levels. Today’s digital leaders — whether they are senior executives, managers, team leads, or line workers — must be able to wield influence and guide others over digital channels. Digital networks provide uniquely powerful platforms for self-expression that leaders can use to enlist others in common objectives, gain inputs from colleagues and especially weak ties, change minds, and drive collective action towards outcomes. In today’s digital world, rightly or wrongly, privacy is rapidly eroding and is now sometimes gone altogether. Forward-thinking organizations are going to take advantage of the change to build more scalable and sustaining trust, stronger relationships with their workforces, communities, and customers, and get the right information from where it is to where it needs to be. Encouraging digital DIY skills means tapping into a widespread but latent capability for change, improvement, and entrepreneurial spirit. Perhaps the most truly disruptive of all the skills listed here, this refers to the technique for using the scale and asymmetric resources on the network (local, enterprise-wide, or preferably, global) to accomplish often otherwise impossible tasks. Sponsoring a MOOC or encouraging workers to enroll in a MOOC for professional development will help everyone develop the digital skills necessary to succeed in a MOOC, as well as develop digital literacy skills that benefit the organization. Have you taken a MOOC? What was your experience like? What skills on this list did you use or develop? How did developing these skills help you in your job or life? Share your experience!